Pair of circular mirrors by Sergio Mazza for Artemide. Stylish mirrors with interesting patination. Both are of a similar tone. 1on the left looks lighter in the photographs due to the light.. 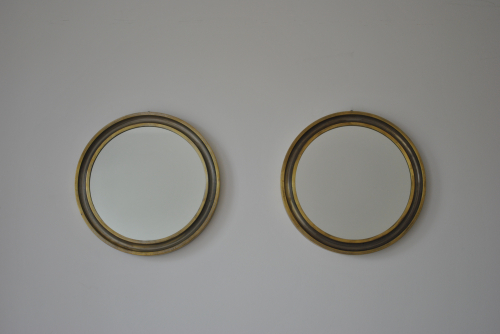 Originally brass plated metal, cleaning and age has left the mirrors with rings of underlying metal.